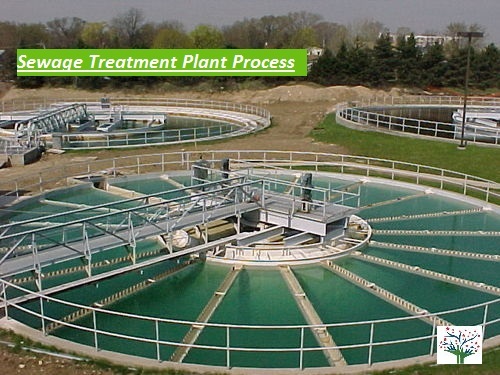 Sewage treatment plant process includes sewage treatment on primary, Secondary or biological and tertiary treatment process to improve quality of wastewater for recycle. With increasing infrastructural development and water usage for various purposes such as domestic and commercial, there is generation of waste water. Sewage comprises waste water generated from households, hotels and may include industrial waste water. What type of waste does sewage contain? Sewage usually contains a high quantity of organic wastes and may also consist of inorganic wastes. It is essential to treat sewage before its entry into any water body. Why so? 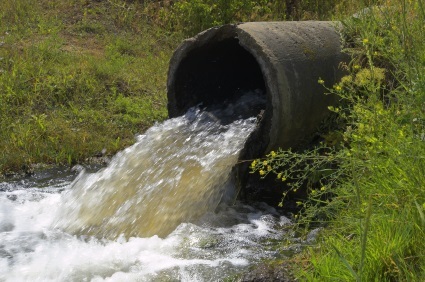 Sewage, if allowed to enter water sources without treatment, it will contaminate them; which is why it is essential to treat sewage properly before letting it into rivers or streams for example. 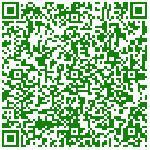 We Offer Services in ETP Operations and maintenance. Sewage can be treated by designing a sewage treatment plant (STP) which involves three stages: primary/preliminary, secondary and tertiary. In a sewage treatment plant, sewage water is first allowed to pass through screens or grit chamber where large solids are removed. This step is followed by aeration/mixing in a tank and then primary sedimentation where suspended solids settle down. Primary treatment involves addition of a coagulant and aims at removing grits, coarse solids, oil and grease if any present. 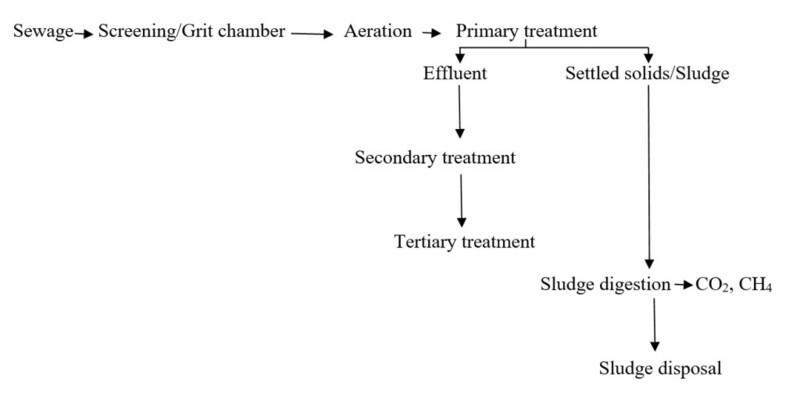 Preliminary treatment results in sedimentation of solids (sludge) and formation of an effluent that floats above sludge. Effluent from primary treatment consists of 45-50 % unstable organic matter. The effluent then undergoes secondary treatment where fine solids settle out by means of bacterial activities. This stage converts organic matter in sewage into stable forms through biological activities, resulting in secondary sedimentation. Common approaches are trickling filters and activated sludge method. Trickling filters comprise an enclosed tank with a bed of bricks and a layer of microorganisms. The effluent enters the tank through an inlet and trickles over the bed layer by sprinklers. Microbial activities oxidize the organic matter in the effluent, resulting in the removal of fine solids, formation of sludge and an effluent with less organic solids. Activated sludge method involves the addition of a mixture of active microorganisms to sewage, followed by aeration and agitation. The aerobic conditions and microbial actions oxidize the organic solids resulting in coagulation, flocculation and settling of solids. Activated sludge produces a clear liquid without foul odor. The effluent then undergoes tertiary treatment/disinfection by incorporation of UV radiation or chlorination. Other methods such as sand filters and reverse osmosis may also be used instead for this stage of treatment, depending upon the nature of the sewage and the effluent from secondary treatment. What happens to the sludge produced from primary and secondary sedimentation? Sludge is digested in a tank which results in the release of combustible gases: methane (CH4) and carbon dioxide (CO2); that can be used as fuel. The digested sludge can either be disposed by incineration or used as a fertilizer. Why reuse or recycle Water? Though 70% of earth is surrounded by water only 2.5% of it is fresh water. Out of which 70% fresh water is in frozen state on Antarctica and Greenland. Only nearly 1% of fresh water is accessible for usage. In day to day life we use water majorly for washing, bathing, toilet etc. if we can recycle water for other than drinking purpose fresh water demand can be lowered. Hence it is very important to treat sewage outlet of every building and reuse treated water for washing, toilet and floor cleaning.